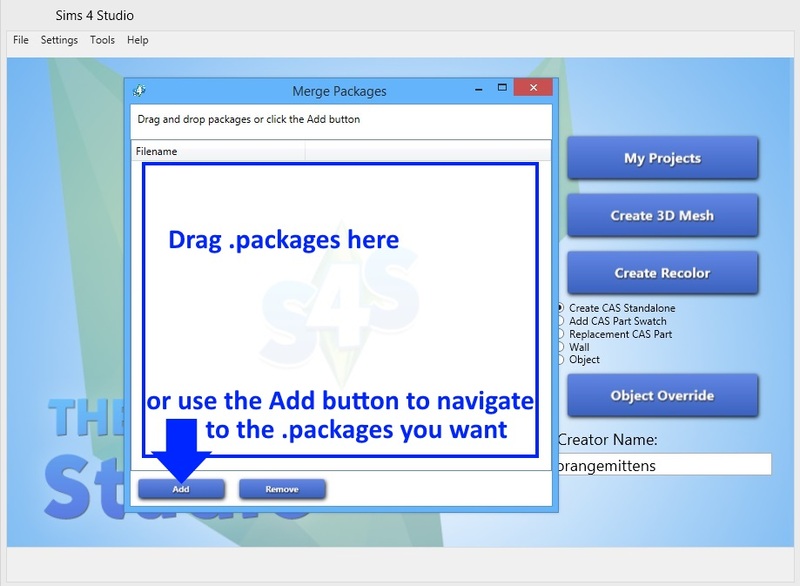 This tutorial will show you how to merge multiple .packages into a single .package using Sims 4 Studio. Note that this will not cause the swatches to all show up in a single catalog entry. 1. 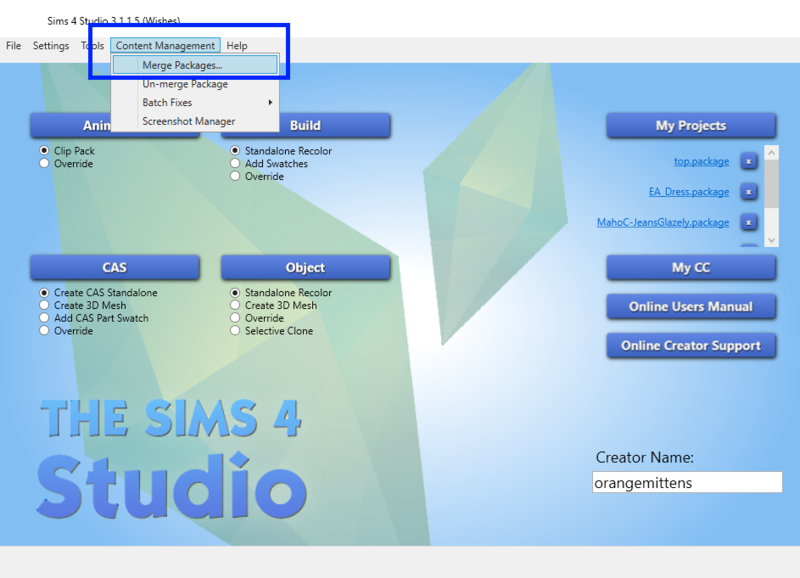 Open Sims 4 Studio and select Content Management from the upper menu bar. When the drop down appears select Merge Packages. include. Both methods allow you to add multiple .packages from a single folder at once and both work just as well. 3. Once you've added all the .packages that you want to include click the Merge button. If you accidentally added one you don't want in there click on it and then click the Remove button. the new .package in its location. If I recolor 2 different objects, save the packages individually and then merge both packages, it will make both objects show up separately on Build Buy but the data itself will be on only one package right? win7yes, all it does is put them in the same package. 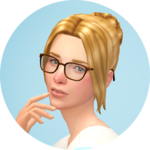 They will still be separate in the catalog in game. 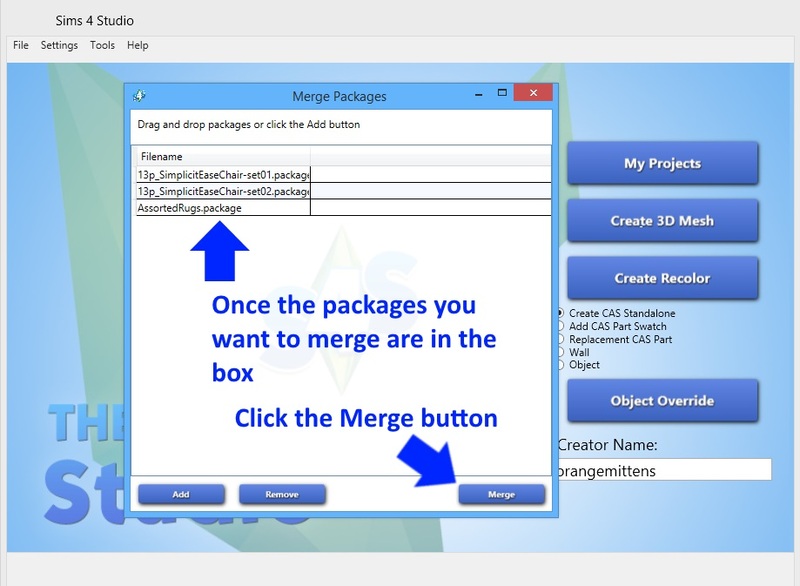 Thanks so much for adding a merge feature to S4Studio! at MS.Internal.Threading.ExceptionFilterHelper.TryCatchWhen(Object source, Delegate method, Object args, Int32 numArgs, Delegate catchHandler)</editobjitempage_onloaded></fetchresource>'System.NullReferenceException: Object reference not set to an instance of an object. Is it possible to merge in additional packages or does everything need to be re-merged? Hi Martine, if you want to merge additional .packages you can open the Merge box as before and drag the merged .package into it. Then drag in the additional .packages you want to merge. 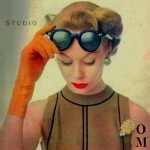 Studio will ignore any duplicates you may accidentally put there and create a new merged .package. Then you can just delete the old merged .package and use the new one. 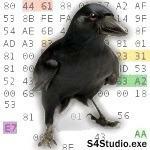 The error is resulting from the check Studio runs to see if something is a complete .package before opening it in the Studio view. It is seeing things in the merged .package that make it think there's a full .package there but when it looks for the other resources it cannot find them...probably because there is some item or other that doesn't need all the resources a standard .package has. The way around this will require a new function to be added to Studio that will allow the .package to just be opened in the Warehouse view without this preliminary check...similar to how it is able to open the Fullbuild files currently. This will be added in an upcoming version. Ah I see, I hadn't thought of that! Does it make any difference for the end result, whether a merged package and new packages are merged, or a re-merge of all the packages? Thanks! No, that won't make a difference. I created 4 different recolors of The Intrepid with each 3 different swatches (so 12 different recolors in total). I merged the 4 packages into one package. I then opened the new merged package. So that's a recolor of The Intrepid with 12 swatches. Now the problem is that there are no 12 different swatches but only 3 in the new merged package. What can I do so I can have 12 different swatches in one package? The 12 swatches are now in one package in one single catalog entry and they show up in 12 different swatches in game. Exactly as I wanted. Studio is currently written to work on a single .package at a time and once it finds the resources it needs to open a .package it will open it. Changing the prototype ID doesn't make the .packages the same .package...it just tells the game they should all be entered into the same catalog entry. Merging them won't make them a single .package from a code perspective so that's no help either. Studio's code can be changed to allow people to open .packages that represent consolidation of multiple .packages in a future version but for now it is best to finish working on your .packages prior to merging them. So if I want to change something on a recolor I better keep the 4 parts I merged and change it in the unmerged package and then merge them again. I'll keep that in mind and make sure that I don't edit the merged package. For now you are probably best off discarding the merged .package that contains a .package with material you don't want. Depending on how the items in a .package are numbered your new material may or may not overwrite the old material in the merged .package. So yes...you would want to save each .package you want to merge, make the changes to them, and then make a brand new merged .package. It's inconvenient but we didn't predict that people would have such an interest in merging .packages like this so Studio will have to be updated before it will work more efficiently. Is it possible to split previously merged packages into parts or edit the content of such packages, i.e. 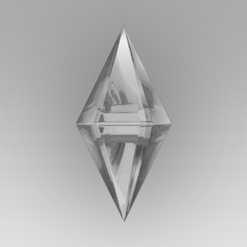 remove some objects from the package? At the moment the only way is to keep a backup and use that to make a new merged .package without the unwanted items in it.